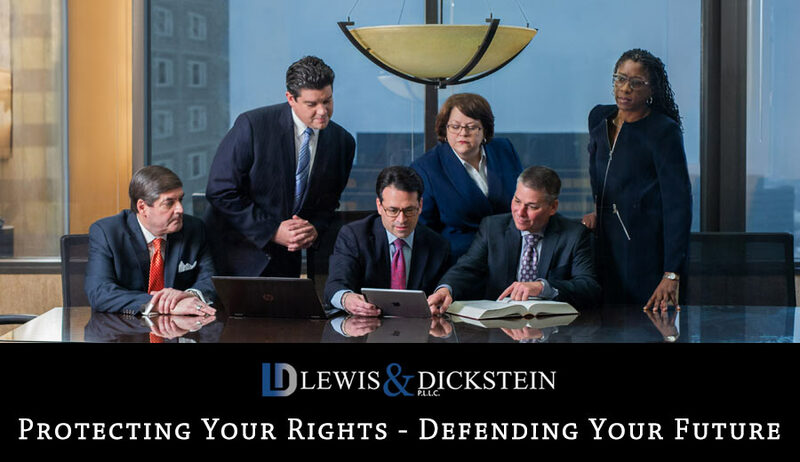 When you need a federal criminal defense attorney who is not afraid to stand up for your rights and protect you, your family and your reputation…you need LEWIS & DICKSTEIN, P.L.L.C. Over the past several decades, Randy Lewis, has tried and handled thousands of cases involving serious criminal offenses including Federal misdemeanor and felony cases. From law offices in Southeastern Michigan, he has successfully handled cases throughout the United States. Loren M. Dickstein has been defending clients on federal felony and misdemeanor charges for decades and is widely known to be highly effective, aggressive and zealous. The team with LEWIS & DICKSTEIN, P.L.L.C. is ready, willing and able to fight for you and we are not afraid to win! Our team of federal criminal defense attorneys have unparalleled experience with federal criminal defense for the highest profile clients and ordinary citizens who just need someone to stand up and fearlessly fight for them in court. Federal criminal charges are different than charges in state court. Most people know something of how things work in state court, if only through television shows. Federal court is different, complex and the stakes are high. We have the experience and expertise to protect you and defend you in court. A single lawyer can never produce the same results as a team of attorneys collaborating to provide the best possible outcome. White Collar Crime including business and financial fraud, Internet fraud, business opportunity fraud, etc. We personally handle every aspect of our clients’ legal issues. If clients come to us early enough, we are able to handle the grand jury proceedings or pre-indictment allegations. In some cases, we can stop a prosecution before it gets to court. If you are charged or a charge is inevitable, we can work with you to develop the strongest possible defense and if sentencing is necessary, maximize your chances of avoiding prison. Clients who come to us after a verdict can obtain our assistance with a federal criminal appeal. We have an impressive record of successfully combating not only felony and misdemeanor charges but also asset forfeiture. Our first effort is to prevent charges from being filed if possible. By providing favorable information regarding our clients, discrediting evidence being used by law enforcement and the situation being investigated, we are frequently able to favorably influence a prosecutor’s charging decisions. If a client is charged, we work tirelessly and aggressively on his or her defense. Obtaining a dismissal of all charges is always our top priority when possible. Our team of criminal defense experts vigorously prepare a client’s case for a jury trial while simultaneously attempting to negotiate a settlement most favorable to our client. We will investigate government witnesses, challenge the government’s allegations, work to exclude potentially damaging evidence, build affirmative defenses, and deal with the media when necessary. The firm also has access to the best investigative and expert resources necessary to aggressively challenge the actions and inactions of law enforcement, prosecutorial and judicial powers. the most favorable outcome possible! If you have been charged with, or are under investigation for, any federal charge, contact the Michigan Criminal Defense Team with LEWIS & DICKSTEIN, P.L.L.C. for a free consultation and confidential case evaluation at (248) 263-6800. If you would prefer, please fill out a Request for Assistance Form and you will be promptly contacted by a highly experienced, aggressive federal defense lawyer who is not afraid to win!